Don’t wear the same foundation with a summer tan as you would in the winter. Skin color changes with the seasons, so your foundation should change, too. When in a drugstore, select two shades of NatureLuxe Silk Foundation that are closest to your skin tone. Use a compact mirror and view the shades while holding them up against your cheek versus holding them against your hand or wrist. If possible, do this near a source of natural light to determine which one is the most accurate match. Once you get home, apply a small amount to your cheek and gently blend it in all directions to confirm the perfect match. 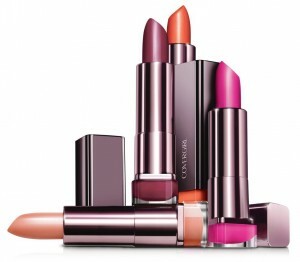 Moist, smooth lips hold color best. Stay pucker-pretty by following these basic tips for healthy lips. In the morning: Give dry, flaky lips the brush-off. Add "brushing your lips" to your morning ritual using a soft toothbrush or washcloth. Then apply lip balm to smooth the way for lipstick-worthy lips! At bedtime: Turn up the moisture before you turn out the lights. 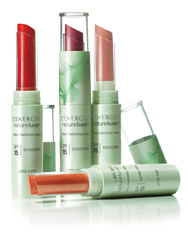 Give your lips a touch of clear, rich moisture each night and you'll wake up to softer lips in no time! Special tip: If you don't have lip balm, eye cream makes an effective, gentle lip moisturizer. All day long: Avoid over-exposure to the sun, which can dry your lips the way it dries the rest of you. 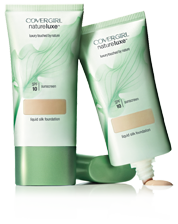 If you spend a lot of time outdoors, we suggest NatureLuxe Gloss Balm with SPF 15. Fortified with mango and shea butter, this feel-good formula leaves your lips feeling decadent and delicious. Quiet pinks and sheer textures are ideal for warm weather; creamy dark wines and plums are ripe for winter. Olive skin looks best in light browns with warm tones, or dark brownish-reds. Stay away from pinks or orange-reds! Fair complexions fare well with shades that have a warm pink or peachy glow, or dramatic reds with a bluish tint. Dark skin is flattered by deep reds with blue or purple tones, or deep reddish-browns. Avoid pinks or orange-reds! 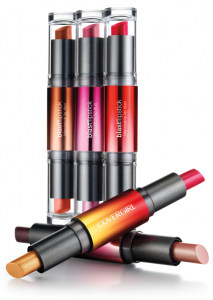 Create your one-of-a-kind look with our expertly designed blendable lip duos, Blast Flipstick Lipcolor. Mix and match cream and shimmer shades with the flip of a stick for a unique look with endless possibilities. Create your very own unique shade, straight from your makeup bag! For example, adding a bright pink lipgloss on top of deep red lipstick can dimensionalize lips and make them look fuller. Start with the creamy side and cover your lips completely. For the second step, flip the stick and apply the shimmery side to the center of the lips only to give your mouth fabulous dimension. There are 13 shades duos, so the possibilities are endless. For more information about our products and beauty tips, please visit our website or check us out on twitter and facebook.